What was Charles Dickens’s best novel? It depends whom you ask of course. G.K. Chesterton thought Bleak House represented the mature peak of Dickens’s skill as a novelist, although he went on to remark, “We can say more or less when a human being has come to his full mental growth, even if we go so far as to wish that he had never come to it.” This past February, on the occasion of Dickens’s 200th birthday, The Guardian put together this mesmerizing chart ranking 12 of Dickens’s 16 novels on a scale of most to least Dickensian. Bleak House came out first, Great Expectations was last, yet those two titles occupied the top two spots when Time issued its own Top-10 Dickens List for the Dickens bicentennial. Searching for clarity, I decided to pose the question to a handful of leading Victorianists. In June, I sent out emails to select scholars asking them if they’d be interested in choosing a novel and making their case. I noted that of course there is no such thing as a singular best, and that really the exercise was meant to be fun. Just about everyone I reached out to was game. 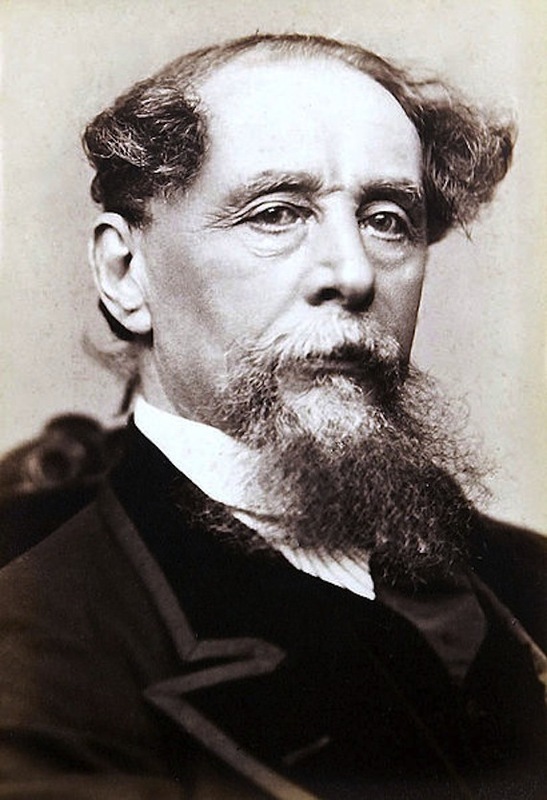 And, in recognition of how obsessive many Victorianists are about Dickens, one added that after debating his best novel, perhaps I’d be interested in curating a more esoteric discussion: Best Dickens character for a one night stand, or maybe which Dickens character you’d most like to have as your own child. Saving those conversations for another day, here then are six impassioned, knowledgeable opinions on the topic of the best Dickens novel. I hope you’ll enjoy reading them, and that when you’re through, you’ll share your own views in the comments section. “Not to put too fine a point upon it,” as meek Mr. Snagsby is wont to say, Dickens’s best novel is Bleak House. It might not be everyone’s favorite (that honor might go to Dickens’s own “favourite child,” David Copperfield, or to the newly-relevant tale of a Victorian Bernie Madoff, Little Dorrit, or to that classic of 10th grade English, Great Expectations), but Bleak House is absolutely his best: in terms of plot, characters, pacing, social relevance, readability, and its possibilities for adaptation, just to cite some of its virtues. The BBC’s 2005 version brought to the fore the pathos of the heroine Esther Summerson’s plight and the hypocrisy of the world that produced that plight. Brought up by a guardian (actually her aunt) who led her sister to believe that her (illegitimate) baby was born dead, Esther does not learn who her mother is, or even that she is alive, until she has been so disfigured by smallpox that she no longer poses the danger of incriminating her (now married and ennobled) mother by their resemblance. The scene of their first (and only) meeting is heart-rending but not maudlin, revealing just how far Dickens has moved beyond the sentimental portrayal of Little Nell’s deathbed (in The Old Curiosity Shop) and his precious depiction of the orphaned Oliver Twist. The emotions the scene calls up are honest, earned, poignant. Similarly, the anger John Jarndyce feels at the Chancery suit that occupies the novel is not the self-righteous ire of those who uncover the educational abuses of Dotheboys Hall (in Nicholas Nickleby) or rail against the inequities of the law of divorce (in Hard Times), but the heartfelt anguish of a man who has seen friends and relatives destroyed by the red tape and bureaucracy of the Court of Chancery (a court that relies not on common law statutes but solely on precedents and was abolished in 1875). Dickens mounts a comparable attack on the aptly named Circumlocution Office in Little Dorrit, where the important thing is to learn “how not to do it,” but there, the depiction is comic. He does the more difficult and subtle thing in Bleak House, relying not on humor but on sad case after sad case to reveal the evils of the system. He writes with empathy; he doesn’t poke easy fun. In Bleak House, written between two national epidemics of cholera, in 1849 and 1854, Dickens also draws attention to the need for sanitary reform (specifically for a regulated, clean supply of water for the public); Bleak House is, in fact, one of the earliest fictional engagements with the field of public health. Engaged in social issues, moving, and full of characters we love (the unflappable army wife, Mrs. Bagnet; Jo, the crossing sweeper; Sir Leicester, Lady Dedlock’s loyal husband) and characters we love to hate (the selfish parents Mrs. Jellyby and Mr. Turveydrop; Vholes, the vampiric solicitor), Bleak House is Dickens at his very best. Bleak House begins in sooty obscurity: swirls of fog, snowflakes black with grime, indistinguishable masses. Movement is circular — “slipping and sliding,” — without progress. The laws of this world are quickly established: There is rigid separation between classes. Characters are moving parts in a system that consumes them. Separate realms coexist with little contact with one another. But then the novel explodes when gauche Mr. Guppy presumes to call on the cold Lady Dedlock. She agrees to see him, and even more strangely, betrays in his presence a quivering vulnerability, a longing to know that echoes our own perplexity as readers of this novel. “What connexion can there be between the place in Lincolnshire, the house in town, the Mercury with the powder, and the whereabout of Jo the outlaw with the broom…?” After Mr. Guppy’s visit, a new sequence of events unfolds, and Lady Dedlock’s life rearranges itself before our eyes. Later, on the open grass, another extraordinary meeting brings us even more closely into her consciousness. Two distinct narrators take us through this increasingly comprehensible world. The omniscient narrator can enter anywhere, taking us from foggy London to Lincolnshire. He floats through walls, moving from the airless chambers of one house in town to the greasy interior of another that stinks of burnt flesh. Esther, by contrast, is a timid outsider, for whom everything is new and strange. Some of the greatest effects of the novel occur when Esther takes us through spaces we’ve visited many times and thought we knew. Right after Esther talks with Lady Dedlock, for instance, she walks through the fragrant gardens of Chesney Wold. “Grostesque monsters bristle” as she thinks about the lives they lead inside, and for the first time we feel attached to the stately home. The great pleasure of this novel is the pleasure of plot — of retroactively putting events into sequence. Like detectives, novelists construct patterns out of disparate fragments. This novel more than any other Dickens novel feels both ordered and dynamic. Characters who flash past us — a man from Shropshire, a crossing sweeper — resolve into detail, acquire names, and fill out in time and space. As the lines between networks of characters thicken, the world gets smaller, more recognizable, but also more dangerous for the ones we love most. “Of course I was in love with little Em’ly,” David Copperfield assures the reader of his childhood love. “I am sure I loved that baby quite as truly, quite as tenderly, with greater purity and more disinterestedness, than can enter into the best love of a later time of life.” Loving a person or a book (and “David Copperfield” conveniently appears to be both) may have nothing at all to do with bestness. The kind of judicious weighing that superlative requires lies quite apart from the easy way the reader falls in love with David Copperfield. To my mind, David is far more loveable than Pip (Great Expectations’ fictional autobiographer), and better realized than Esther (Bleak House’s partial narrator). And it does help to have a first-person guide on Dickens’s exuberantly sprawling journeys. David, like Dickens, is a writer, and steers the reader through the novel as an unearthly blend of character, narrator, and author. This is not always a comforting effect. “Whether I shall turn out to be the hero of my own life, or whether that station will be held by anybody else, these pages must show,” David announces in his unsettling opening sentence. Is the novel nostalgic, sexist, and long? Yes, yes, and yes. But in its pages, Dickens also frames each of these qualities as problems. He meditates on the production, reproduction, and preservation of memories; he surrounds his typically perfect female characters, the child-bride Dora and the Angel-in-the-House Agnes, with the indomitable matriarch Betsey Trotwood and the sexlessly maternal nurse Peggotty; and he lampoons the melodramatically longwinded Micawber while devising thousands of ways to keep the reader hooked. If you haven’t yet found your Dickensian first love, David’s your man. That means that it’s also one of the few Dickens novels dominated by one character’s story and one character’s voice (This stands in contrast to Bleak House, say, which shuttles back and forth between two alternating narrators, one first-person and past-tense, the other third-person and couched in the present). As a result David Copperfield is less structurally complex, but also more concentrated, with an intensity of focus that can sometimes feel claustrophobic or monomaniacal but never loses its grip on a reader’s brain and heart. Its single-mindedness makes it more readable than a novel like Pickwick Papers, where the title character is little more than a human clothesline on which a welter of equally vivid minor characters are hung. Yet at the same time, it’s a novel about how hard it is to be first: Can you come first in your mother’s heart after she marries a wicked stepfather? And can your own second wife come first for you after her predecessor dies? On David’s birthday, he tells us, “I went into the bar of a public-house, and said to the landlord: ‘What is your best — your very best — ale a glass?’ ‘Twopence-halfpenny,’ says the landlord, ‘is the price of the Genuine Stunning ale. '” David Copperfield is the genuine stunning: there’s nothing quite like it, in Dickens’s work or out. There’s a different best Dickens novel for every purpose. Even though Dickens’s peculiar characters with their tic phrases sometimes appear interchangeable, his novels as a whole are surprisingly different from each other in their focus of interest, narrative structure, and in some cases, length. The best Dickens novel to read? Bleak House. To teach? Oliver Twist. To boast that I’ve read? Martin Chuzzlewit (really, I have). To understand Dickens’s consciousness as a writer? Little Dorrit. Little Dorrit is Dickens’s moodiest novel, and comparatively little happens in it. There are the usual plot complications — and what Dickens called the novel’s “various threads” often seem to hang together by a thread — but at its heart is the stasis of a debtor’s prison, where Amy, or Little Dorrit, has grown up tending to her self-deluding father. The novel’s many psychologically imprisoned characters mostly sit around brooding about their thwarted lives, especially the hero, Arthur Clennam, who is older and more anguished than Dickens’s other heroes and heroines. Elements familiar from Dickens’s other novels — satiric portrayals of bureaucrats and aristocrats, the self-sacrificing young woman, even a murderous Frenchman — seem more sinister in this novel because they are the cause of so much melancholy. At one point Dickens summarizes Clennam’s thoughts in a way that seems emblematic of the novel: “Little Dorrit, Little Dorrit. Again, for hours. Always Little Dorrit!” As Lionel Trilling observed, Little Dorrit is the most interiorized of Dickens’s novels. Shortly after writing it Dickens made a spectacle of breaking up his family, and characters in the novel torture, contort, misrepresent, and stifle one another’s feelings in spectacularly awful ways. In a game of word association, ‘Dickens’ would readily call to mind words like ‘comedy,’ ‘caricature,’ and ‘satire.’ ‘Little Dorrit’ would yield ‘interiority,’ ‘psychological depth,’ ‘angst,’ and all the inventive strategies Dickens uses to achieve these qualities. It enables us to see the fullest possible psychological and artistic spectrum of his work. Our Mutual Friend was my Dickens gateway drug. The opening sequence plays like a Scorsese tracking shot on steroids. A body fished out of the Thames becomes gossip at a nouveau riche banquet, from which two lawyers slip out to a dockside police station, where they meet a mysterious man who runs off to take lodgings with a clerk, whose daughter becomes the ward of a dustman, who hires a peg-legged balladeer to read him The Decline and Fall of the Roman Empire. And I haven’t even mentioned the taxidermist. It’s the Facebook fantasy: everyone is connected — though in the darkly satiric world of late Dickens, this is less an accomplishment than an indictment. The surprise comes from how much fun it is to navigate his corrupt social network. Conventional wisdom asks you to choose Dickens savory or sweet: the ineluctable fog of Bleak House or the bibulous conviviality of The Pickwick Papers. Our Mutual Friend, his last completed novel, gives you both an intricate web of plots and a cast of delightfully scurrilous plotters. Its particular tickle comes from the recognition that everyone’s an impostor, and a gleeful one at that. People who dismiss Dickensian eccentrics as fanciful caricatures miss how much the fancies are the characters’ own insistent projections. As the narrator says of the self-important balladeer: “His gravity was unusual, portentous, and immeasurable, not because he admitted any doubt of himself, but because he perceived it necessary to forestall any doubt of himself in others.” The self we perform is the self we become. And everyone’s performing in Our Mutual Friend. A lawyer pretends to be a lime merchant for an undercover job in pub, and after the sleuthing concludes, he’s so enamored of the role that he offers the potboy a job in his fictional “lime-kiln.” When the orphan Sloppy reads the newspaper, “he do the police in different voices” — a line that T.S. Eliot pinched as his working title for the The Waste Land. This literary legacy, along with the novel’s sustained imagery, have led some critics to call it proto-modernist. Dickens shows us as well that the insights we call post-modern (personality as performance, fiction as artifice) have Victorian roots. The creators of The Wire declared their debt to the 19th-century master of serial narration, and it’s no surprise that a season finale of Lost revolved around a copy of Our Mutual Friend. This is the book you want on a desert island. During a recent semester spent studying abroad in the UK, I had the opportunity to take an undergraduate course on Henry James. I seized the chance, having never taken a class devoted to a single author before. Previously, Henry James had existed in my mind as a hazy legend in Anglo-American letters who wrote hefty novels and dense stories in an ominously opaque prose. The only thing I had ever read of his was “The Middle Years”, a short story about an aging writer resting in Bournemouth, who befriends a doctor who also happens to be a fervent admirer of his work. It sounds awfully boring but I was impressed by the story, which reveals a great deal about reader-writer relations, although of course I found the writing itself a little impenetrable at times (the number of commas in the first sentence alone would send a good number of readers packing). It’s easy to lose your way in a James story if you’re not careful. Your eyes keep scanning the words, but your thoughts tend to wander off. Often what’s literally happening is buried beneath endless looping sentences, words that lap like waves, eddies of thoughts and counter-thoughts. It all sounds beautiful, but the reader is left wondering: what does it actually mean? It’s obvious that Henry James is ill suited for a text-heavy undergraduate course, which requires extensive reading in a very short time. It’s not so bad when you’re studying earlier James, which tends to be more straightforward (although with the novels the length can sometimes get to you) — but things get an awful lot worse with later James. The prose becomes denser, the metaphors extend into page-long emotional parables, the grammar is impossibly convoluted, and numerous adverbs cling to and clutter the sentences. Take, meanwhile, pray The Ambassadors very easily & gently: read five pages a day — be even as deliberate as that — but don’t break the thread. The thread is really stretched quite scientifically tight. Keep along with it step by step — & the full charm will come out. It may have been that the Duchess was a particularly obtuse reader, but I do think it’s true that James is much better appreciated with lots of time to take him in slowly, a few pages at a time, to let his magic quietly come through. But James’ own recommendations, of course, are impossible to follow when you have to rifle through a whole novel in a few days for a seminar. I ended up quite liking most of the tales, especially “The Lesson of the Master”, about the relationship between a young, promising writer and an older one whose art is in decline. It has a certain ironic bite, which I found enjoyable — the “lesson” in question being that novelists shouldn’t marry, in order to concentrate on their art (James remained a bachelor all his life). It is apparent that there are quite a few gems in the tales of Henry James, which are often in the vein of the French nouvelles (Maupassant often comes to mind). Although writing many of these short stories was bread-and-butter work for James, they offer much insight into art and human expression. Among the novels, I never finished The Wings of the Dove, What Maisie Knew, or The Princess Casamassima, one of James’ forays into more traditional social realism (with The Bostonians), which I found read like a bad imitation of Dickens. The Portrait of a Lady was by far the most readable and engaging of his novels, and Isabel Archer remains one of his most sympathetic characters — despite the famously unsatisfactory ending. The two later novels I read, The Ambassadors and The Golden Bowl — especially the latter, where so little happens for so long — initially put me off. They are demanding books, but in the end they proved more interesting to think and write about. The Ambassadors, for instance, through some intricate literary trick, manages to charm the reader into embracing the middle-aged protagonist’s point of view. Strether’s fascination for Paris, for Chad (whom he comes to Paris to save) and for Madame de Vionnet (with whom Chad is having an affair) becomes the fascination of the reader, while James masterfully pulls the strings behind the scenes. It’s a rewarding, beautiful reading experience; and there really is a kind of taut, charming thread running through it. A certain reputation precedes Henry James, I think — and it’s not a very good one. Another preconception I had about him was that he was rather passé, in both style and content. He already seemed outdated in his own time (at the turn of the century, who else was writing novels about adultery among the rich and beautiful in such wordy prose? ), so how could he possibly be relevant today? I was wrong, of course. Although James was never read by the masses, he still generates a fair deal of critical attention and admiration. Many authors today use James’ life and work to inspire their own fiction: Colm Tóibín’s Booker short-listed The Master is a fictionalized account of a part of James’ life (more on that later), while David Lodge’s Author, Author (published six months after Tóibín’s novel) does something similar. Joyce Carol Oates’ recent collection of stories Wild Nights! includes a moving story about James visiting a wounded soldier in a London hospital during World War I, and Cynthia Ozick’s 2010 novel Foreign Bodies is a retelling of The Ambassadors. In the last decade, Penguin Classics has reedited most of James’ novels and stories in a new series under the general editorship of one of the most prominent Jamesian critics, Philip Horne. NYRB Classics has also included many of James’ little known titles in their series, while Cambridge University Press is planning a new, multi-volume critical edition of James’ works, to be published by 2016 for the centenary of his death. It is clear that James is not passé, and never was. He is, in fact, perhaps more relevant than ever; but his works lie in a strange place outside of time, and they were written that way. James was and remains a demanding author because he found something intensely true about the complexity of human nature and felt compelled to communicate this truth in the stories that took hold of his imagination. He was a careful writer, true to his art and craft, and a meticulous revisionist. His works are deep, long, airless dives into the complexities and multiplicities of the self. It’s not an easy subject to write about. His stories, lacking in plot, are simple accounts: mere turning points in the lives of characters or revelations of social organizations. Yet in their self-consciousness and ambiguities, and even in the circumlocutions of James’ language — which in truth is closer to the fragmented consciousness of modernism than to Victorian verbosity — they reveal something irresistibly true about life. It’s easy, of course, to call binge reading Henry James a joy when the term is over and the essay is handed in and corrected. For most of the duration of the course, I would’ve probably called the process “Henry James and the Woes of Binge Reading”. Often times it felt like I was out of breath as I jumped from one work to the next, trying to catch up on my reading just before class, and then having to move on to the next book down the list without having finished the previous one. But, as anyone who has taken a class like this (or anyone who has ever binge read from a single author in a short period of time) will know, this type of reading can also be highly rewarding. One passes from one book to the next almost seamlessly, without having to adapt to a new style, witnessing (if the works are read more or less chronologically) the progression of the writer’s art over time, the evolution of his concerns, and the development of his authorial voice. The binge reader also starts to notice stock characters as they crop up from story to story. One of the most common, in James, is the young, empowered American heiress: for example the eponymous heroine of “Daisy Miller”, James’ first successful story; Isabel Archer in The Portrait of a Lady, who struggles between her freedom and her duty; and Maggie Verver (aka The Princess) in The Golden Bowl, who starts off as a meek wife and manages to get rid of her husband’s lover (also married to her father) by the end of the novel through the most skillful, subtle social maneuvering. Theater is another recurring (although not always explicit) theme in Jamesian fiction. James uses a great deal of theatrical metaphor throughout his stories to describe the shifting nature of his characters and the multiplicity of their personalities, which they project out into the world like carefully constructed roles. Thus the adulterous women in his novels — another stock character — like Madame de Vionnet in The Ambassadors or Madame Merle in The Portrait of a Lady, are often described as actresses. They put on masks, makeup, and costumes and bury their identities beneath layers of constructed characteristics to manipulate their audiences. Perhaps the great number of theatrical metaphors relates to James’ involvement with the theatre, which more or less ended with the failure of his play Guy Domville in 1895 (again, shortly before his “late phase” began). It was a deeply traumatic experience for James (both Tóibín and Lodge make it a central element in their novels). He described the humiliating premier in a letter to Henrietta Rendell as “the most horrible hours of my life.” Thus James was forced to return to the less lucrative — albeit probably more comfortable — business of writing for print only (“thank heaven there is another art”), but it is clear that his failure in the theater left its mark. It seems I didn’t want to get away from Henry James after the course was over because I continued to peruse his Life in Letters, brilliantly edited by Philip Horne, which has some really beautiful bits of writing in it. I also read The Master by Colm Tóibín, and I would like to end with a few words on this book. It walks the fine line between biography and novel, a tricky genre that Tóibín pulls off majestically. It proves an insightful way of writing and thinking about James, whose life and work are a complicated balance of fiction and reality. Tóibín’s novel is a gripping, major work of literature, which I binge read with relish not because I had to, but because it offers a fascinating exploration of James as a character whose consciousness is revealed to be as complex and deeply moving as those of the characters he, in turn, created. Tóibín’s novel offers a prism through which many of James’ works are refracted, illuminating them with new meaning and a more directly human resonance. He also treats James’ probable homosexuality with subtlety and respect — no easy feat. The Master is a good read intrinsically, as well; intelligent, endearing, moving, and even funny at times (in a quiet, quaint, all too Jamesian way). If you read nothing by Henry James or nothing else related to him, I urge you, at least, to read The Master. It seems almost disrespectful to the “master” in question to say so, but I am confident that if you do read Tóibín’s novel, you’ll be tempted to pick up one of James’ books afterward. I’m quite certain you won’t be disappointed by either. If there was ever a rule that an American writer should do his boldest, most experimental work first and then retreat to safe ground, no one ever bothered to tell Henry James. He went the opposite direction, from the reader-friendly storyteller behind Washington Square and the serious modern novelist of The Portrait of a Lady to the remote, forbidding, hard to read “late James.” The major works of this period, The Ambassadors, The Wings of the Dove and The Golden Bowl – written in the amazingly inspired years from 1900 to 1904, when this “steady producer” was in his late 50s — must have struck readers at the time as familiar yet strange. First, they are set in the same cosmopolitan high society of so many James novels, where rich Americans traipse across Europe, the new world mixing it up with the old, leading to love affairs that sooner or later involve money and class. Also, they pursued a favorite Jamesian theme: determining just what’s genuine, what’s the “real thing,” both in art and life. But these novels are, also, more cerebral and analytical, with a style more convoluted, more cart before the horse, aiming less for the right word than the flood of words that would get to that elusive thing, whether it’s the real deal or just a gilt-covered bowl. He was right. Over the past month, I found them to be intense experiences, intellectual and emotional, both during reading and after. They deepen on reflection and call you back for another look. They are dense in the best and most daunting sense of the word. There’s a lot to them. No doubt, the prose can be thorny. James isn’t direct. He over-elaborates the ordinary. He never takes the shortest route. Once you find your footing you can still lose it when he takes off on a deep psychological excursion or drags the reader along on some endless back-story. The dialogue can be either a joy or a torment, depending on whether his characters are having a lively discussion or talking in circles. Metaphors – often involving boating, setting sail on the sea of life and so forth – drag on exhaustively. There’s a bit of the abstract poet in James, too, always reaching for the odd word or the obscure thought, and you can hit a snag (or is that a sandbar?) when you come across such phrases as “the despair of felicity,” or such thorny passages as “a pretext for innocent perversities in respect to which philosophic time were at last to reduce all groans to gentleness.” The sentence construction can be unwieldy and awkward, as James tries to rope several thoughts together. Sometimes I found the prose made more sense when read aloud, but not always; the rhythm that was going on in James’ head while dictating to his secretary can be elusive. These detriments do not deter. Something more important is at work. You’re in the company of a writer who sees and imagines in depth. I occasionally thought “Where is he going with this?” but I also thought “I can’t wait to see where he goes with this.” There’s a purpose behind those metaphors – he wants you to see, to visualize the inner life of his characters. He knows how people think, and he has a superb sense of how they reveal themselves, the way looks give away clues, the way people may not even know their own mind until they see another person’s reaction. These novels are set against great geographical backdrops and big fancy homes, but all the action is inside, where people plot, conceal, and create. These novels are broad French comedies and existential mysteries, stories you understand piece-meal, along with the characters, who are feeling and (quite often) thinking their way through. Take, for example, Lambert Strether in The Ambassadors, one of James’ great characters: a middle-aged man from the small town of Woollett, Massachusetts, where he publishes an unread literary magazine. Strether is sent to Paris, by way of England, by Mrs. Newsome, his wealthy, widowed benefactress, on a mission to rescue her son, Chad, from the clutches of an apparently fallen woman. The family’s goal is for Chad to come home, settle down, marry and assume his proper place in the family business. Strether’s goal, pending his success, is to marry Mrs. Newsome, thus securing his future. Strether is joined by his friend Waymarsh, who carries all the provincial distrust of any country that isn’t his own. (“Oh I don’t say but what there are plenty of pretty places and remarkable old things, but the trouble is that I don’t seem to feel anywhere in tune.”) Strether himself is different: a widower whose dreams in life have been compromised, he’s open to the experience ahead of him, and he’s helped out on several levels by Maria Gostrey, a fetching tour guide he meets in England. She becomes his fellow investigator in what seems at first a wild goose chase. Once they arrive in Paris, he can’t find Chad, or figure out just what it going on with him and this married lady, Madame du Vionnet. Are they having an affair, or is it a “virtuous attachment”? Is she planning on divorcing her absent husband? Is Chad actually romancing her young daughter, Jeanne? When Chad begins to knuckle under to family pressure, Strether reverses his own mission: not to save Chad from Madame du Vionnet, but to save him from his family and the stifling work-a-day world of Woollett. The man who has lived at the behest of his employer finds a moral spine he didn’t know he had. With the occasional help of Maria – a bit of a seer, who from the start knows Strether better than he knows himself, and can speak to the better part of his nature – he goes from being an ambassador to a negotiator, working things out so everyone wins. Alas, that’s not the game everyone is playing. The Newsome family orders Strether home and sends in special forces to take over: Chad’s hefty, no-nonsense sister, Sarah Pocock, her lunk-headed husband Jim, and Jim’s adorable little sister, Mamie – the prize that awaits Chad if he’ll just follow their wishes. We never, in the course of the novel, actually meet Mrs. Newsome, and the family business is a famous literary mystery (although a 2007 Slate article offered a persuasive guess.) In Sarah, however, we get a full sense of the force of the Newsome personality and of a certain kind of “ugly American” type: strident, arrogant, my-way-or-no-way. (She later teams up with Waymarsh, a true meeting of like minds.) Two ambassadors, Strether and Sarah, working at cross purposes with Chad’s future hanging in the balance, which is only partly the novel’s concern. Actually, it’s about the way people discover who they are, and it’s a process James takes to the bitter end, skirting a conventionally happy ending for one more ambiguous and dramatic, and true to the character of a man whose future is very much up for grabs. The first thing to say about The Golden Bowl is that it’s a great novel about marriage. The second is that I have this sneaking suspicion that if I read it several more times I’d say it is a structural masterpiece. “Solidest” is not a bad description. It delves extensively into the lives of five characters, and it has the feel of deep planning to it. Set on the English estate of a wealthy American industrialist and his daughter, both of whom enter ill-fated marriages of convenience, it’s about the illusions that bring people together and the willful deceptions that hold them there, and the way faith can be another word for denial. The title object, a crystal bowl covered in gilt to conceal a flaw, becomes, like Hester’s scarlet letter, an all-purpose symbol for anything deceptive or fake. Amerigo, a penniless Italian prince, lucks into an engagement with the heiress Maggie Verver, thanks to the influence of Fanny Assingham, a suitably-named matchmaker who butts in to other lives. What Maggie doesn’t know (and Fanny hides) is that Amerigo has a past with her old friend Charlotte Stant, a love affair which ended because neither could provide for the other. Maggie has a prior relationship of her own, and a rather weird one: a childish, just this side of Freudian attachment to her doting widowed father, Adam. A self-styled art expert, Adam has devoted his middle age to buying paintings, avoiding gold-diggers and making his little girl happy, which is the main reason he tolerates Amerigo. Once Maggie’s marriage is underway, she seeks out a wife for Adam – which turns out to be Charlotte. As far as Adam is concerned, his marriage is basically just another favor for Maggie, a way of keeping her old friend close by. A disaster is effectively set in motion. Maggie and Adam, still oblivious to all others, continue to spend their time together, leaving their lonely spouses with the opportunity for an affair. Maggie takes an eternity to suspect anything, but once she does, all the characters (as well as the reader) are in a whirlwind of confusion. Does Maggie actually know? Does Adam? Is Maggie protecting Adam from knowing? Fanny, who brought the couples together, fears for her own social position. The plot becomes a game of five-card stud where everyone is bluffing. There’s another game-like aspect to it, too, in that James, having constructed a five-character drama that could go several ways, had to focus the resolution on one character, which is Maggie. In her, the novel finds its heart. She takes a winding path from innocence to experience, reaching a kind of forced understanding of what it means to be Charlotte, to have “been loved and broken with.” Just as he did in The Ambassadors, James takes the story well beyond where you think it will go. This volume is the last in the Library of America’s series of James, which keeps virtually all of the author’s published work in print, not including letters and diaries. In the interest of completeness, it ends with some desk-cleaning ephemera. James’ last novel, The Outcry, is a mildly entertaining comedy of manners that reads a little too much like what it is: the salvage job of a failed play. The cruel Lord Theign is hoping to virtually sell one daughter, Grace, into marriage with the odious Lord John in hopes of paying off the gambling debts of another daughter, Kitty. Grace has other plans, as she is interested in a bright young art student and critic, Hugh Crimble, who discovers that one of Theign’s paintings may actually be worth more than was thought. While Theign stands to make a fortune from a potential buyer, the American plutocrat Breckenridge Bender, his hand is stayed by both the mystery of the painting and the public outcry against Americans plundering the country’s art – an issue at the time of publication. There’s also “The Married Son,” James fascinating contribution to a 1908 joint novel, The Whole Family, written with William Dean Howells, Mary E. Wilkins Freeman and a number of now-forgotten writers. According to the notes, the novel is about how a proposed wedding affects the Talbert family, with every writer focusing on a single family member. James’ chapter is the bitter first-person internal monologue of an unhappily married man whose life is fraught with pettiness and jealousy, and it has a sour disdain for conventional modern life that suggests Sinclair Lewis. This whole volume, in fact, brings to mind the great generation of writers who were already mapping out the modernist universe: Proust, Woolf, and Joyce, with Faulkner and others to follow. Henry James was a 19th Century man who developed a 20th Century sensibility. He stretched the novel, and raised the stakes. It’s all about the water, isn’t it. You travel on it, you cross bridges over it, reflections in it confuse you, and when you’re lost (which most people in that labyrinthine city usually are), you end right up against another bloody canal when instead you should be strolling into your hotel lobby at two in the morning after one too many Bellinis at Harry’s Bar. It’s the prototype for Italo Calvino’s book Invisible Cities. At one point in it Marco Polo says, “Every time I describe a city I am saying something about Venice.” There’s no place on earth quite like it. And in Nicolas Roeg’s 1973 film Don’t Look Now, Venice deep in its winter is a sullen, mirthless place of steep shadows and greasy waterways where you go to die as though it were the very ends of the earth and you had run out of time. The English have often been drawn to Venice for their literary settings, and apart from expatriate American Henry James, who chose the city as setting for The Wings of the Dove (another death, of course, in Venice), perhaps it’s thanks to film director Nicolas Roeg that Daphne du Maurier is also known for making use of the city. His adaptation of her short story “Don’t Look Now” was a critical and popular success when released in 1973, and was chosen by the British Film Institute as eighth in their top 100 British films. Both the source material (recently reissued in a collection of du Maurier’s stories by NYRB Books, selected and introduced by Patrick McGrath) and the film are superior entertainments that extend far beyond the expected frissons of genre. The term “psychological thriller” is particularly apt in both cases. This is a tale about faith, doubt, and death. Not to mention what can only be called after-death, since we experience it twice in the course of the film. And though movie-making has generally become all about blowing things up, Don’t Look Now, almost forty years later, still retains its quiet ability to unnerve an audience, hauntingly and without ever completely giving up its secrets. What Roeg has added to the narrative, apart from a much fuller depiction of the main characters’ relationship, is a story about the thin membrane of reality. The capabilities of film draw us visually into this tale of a city, a murderer and the death of a child. Daphne du Maurier was for many years considered a minor English novelist and short-story writer: a best-seller, certainly, but something of a “women’s writer.” Best remembered for her novels Rebecca and Jamaica Inn (both filmed by Alfred Hitchcock) she’s also known for writing the story Hitchcock’s The Birds was based upon (she hated the film as much as she loved Roeg’s version of “Don’t Look Now”). Both that story and “Don’t Look Now” reveal a subtle and psychologically astute mind at work. Where Roeg gives it to us in full, du Maurier merely suggests; she makes us do the work. In both cases, film and story, the reader is left with mysteries that are inescapably human and somehow always just out of reach. For me, as a sometime screenwriter, the finest movies are like the best works of fiction when they leave the reader to fill in the gaps. The audience should always take away something from the experience that remains unanswered. So that time and again we’re drawn back to think about it, or see it once again, and then see it in a whole new light. Antonioni’s films are like that, as are those of Krzystof Kieslowski. Art should always pose questions, not give us answers. Like all the best cinematic adaptations (in this case, by Allan Scott and Chris Bryant), Don’t Look Now is exact not necessarily to the facts of the story but is completely faithful to the poetry of the piece, the intent of the original. It begins with a death. It begins with water. It blossoms into grief that yearns for relief, and comes with a premonition that’s firmly planted in the viewer’s mind—in a film that works upon its audience like something read, lifted from the celluloid by the eyes and stashed in the memory, so full is it of significance, be it moments or glances—as though it were a key image in a poem that would return in a later stanza, twisted and cast in a different light but instantly recognized. At which point, as you rise from your seat and walk out into the night, you realize you have to see the film all over again to grasp its meaning. You sense that every line of dialogue, every shot that may seem throwaway or simply scenic, contributes to the growing sense of unease in this movie that, like illness setting in, comes over us as an undefined uncertain feeling before blossoming into a chill, then fever, then pain. And then the release, which leaves one of the characters dead and the other somehow vindicated: this death had to happen, just as Venice had to happen. A death for a death; the stillness of a memory redeemed. John is the rational man, the author of a book glimpsed early on, Beyond the Fragile Geometry of Space (Joseph Lanza’s long out-of-print book on Nicolas Roeg, entitled Fragile Geometry, is well worth reading; if you can find and afford a copy, that is) who clings to his need for hard reality, the patient precision of rebuilding a church. Laura is the emotional one who hasn’t been able to let go of her lost daughter who drowns while her parents mull over why a frozen pond is flat. Laura comes to Venice in a fragile state, hoping that she’ll be able to find her footing and discover clarity. In this watery city reality is fluid, as if the minds of the characters had molded Venice to fit their anguish, confusion and inability to accept the truth of things. On top of all this there’s a serial killer loose in Venice. Two people have been found with their throats cut. There will be another before the credits run nearly two hours later. Two sisters, twins from Scotland, stand at the center of this story. In du Maurier’s we meet them in the first sentence: “’Don’t look now,’ John said to his wife, ‘but there are a couple of old girls two tables away who are trying to hypnotise me.’” As du Maurier suggests, they may even be men in drag. One is blind; though sightless, she possesses vision. She has a connection with the spirit world, and when she reveals to Laura minutes later at the restaurant that she “saw” the dead child happily sitting with her parents, dressed just as Laura remembered her, Laura suddenly sheds her grief. Life can now start anew. But John thinks that his wife, aided and abetted by a phony medium, is losing it. When Laura returns for a quick visit to their son, hurt in a sports accident (appendicitis in the du Maurier story) at his school in England, John is certain that he’s seen his wife in Venice with the twin sisters, on a vaporetto, chugging up the Grand Canal. What he’s seeing, we’ll learn, is some later moment when he’ll no longer be there. He’s looking into a future that lies beyond his time. In this world, past and future are contained in the present, as though it were a universe concocted by the grand magicians of matters temporal, Marcel Proust and, in his Four Quartets, T.S. Eliot. We’re in the opening minutes of the film, in that cottage in Suffolk on a cold Sunday afternoon. Just before their daughter in her red plastic raincoat drowns in the pond, John spills a glass of water over one of his slides, a shot of the interior of the church, where sitting in a pew appears to be a child in a red coat with a hood. The water distorts the celluloid, and the red of the coat blossoms over the transparency like blood spilling from a murdered man’s throat. As Mark Sanderson points out in his book-length study of the film, that scene—in fact the entire seven-minute opening sequence—tells us everything we are about to see in Don’t Look Now. Everything is figuratively or literally second-sight in this movie: both what the blind medium sees, and what we watch. We’ve seen it all before, right at the beginning, and now, because it needs to draw us deeper into the story, we get to see it again. Of course in prose this wouldn’t work. We can parse too much at our leisure, examine the words, understand their meanings, see the subtleties. A movie possesses a literalness that a truly good piece of fiction doesn’t, or shouldn’t. Because we can’t, in the first instance, flip back to an earlier scene (though DVDs make this much simpler), and because it’s presumed (and hoped) that we’re seeing this movie for the first time at the cinema, we experience it as one continuous unspooling of narration. It’s on subsequent viewings that the rewards of Don’t Look Now truly emerge. We see how much we have to work to look at all the elements in a scene, how much Roeg is compelling us to linger over the objects in a hotel room, the expressions on Julie Christie’s face, the mosaic tiles in the Church of St. Nicholas. And yet it remains a mystery to us. It eludes us in the end. We feel we have witnessed a kind of ancient sacrificial rite playing itself out in an unreal city, and that something necessary has happened. We see it on Laura’s face as, the two sisters beside her, she stands on the vaporetto as it makes its way up the Grand Canal to a funeral. Winter’s about to break, and spring’s only weeks away. The gods have been served. Like all the best works of fiction, Nicolas Roeg’s Don’t Look Now makes us want to experience it all over again. And still we won’t be able to find the words to say exactly what it all means.